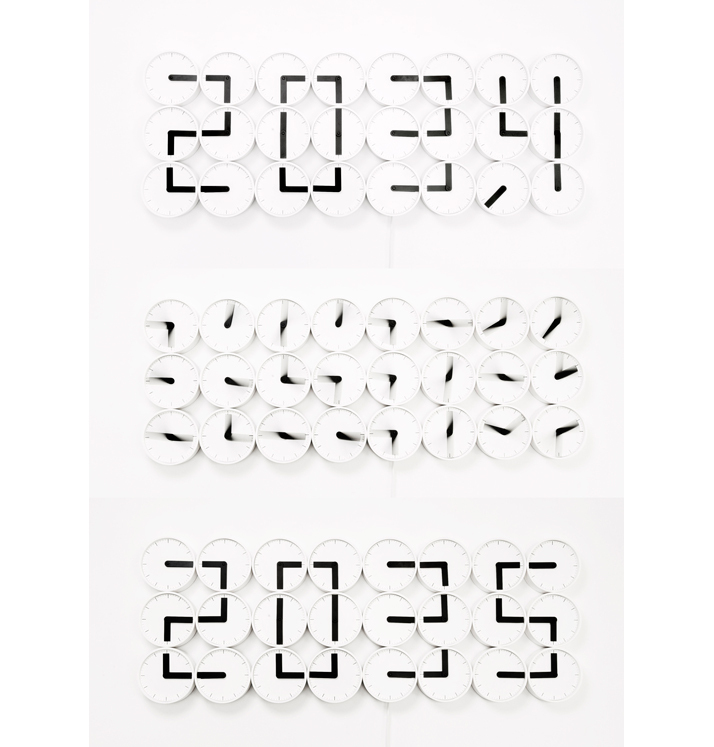 Watch 24 analog clocks morph into one giant digital display. Re-contextualizes time in a mix of old and new, analogue and digital. 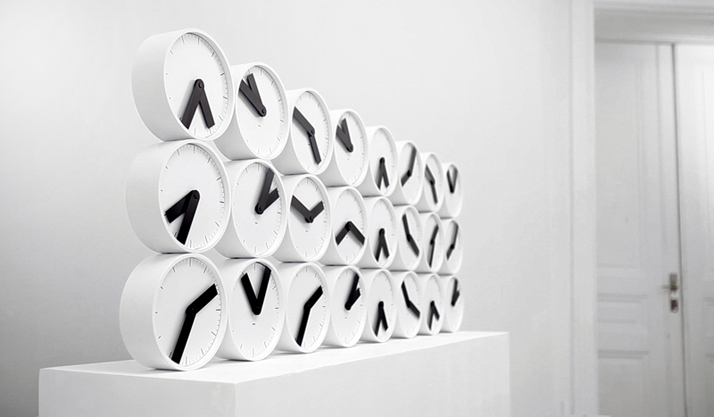 The clock is made of 24 two-handed analogue clocks. Six clocks make up a number, each of them displaying either one of its corners or one of its sides. 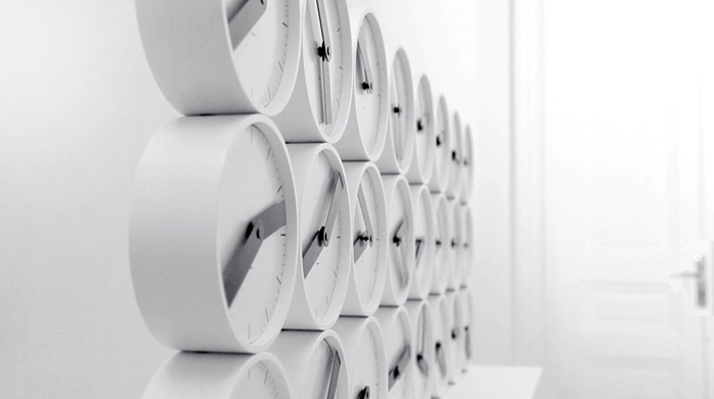 All 24 clocks create one giant display similar to that of a digital watch. This work is notable for its digital/analogue format and the choreography that takes place between the minutes. Screen printed dials in powder coated aluminium housing electrical & mechanical components. Humans since 1982 cooperated with Australian engineer David Cox to accomplish the complex technology.